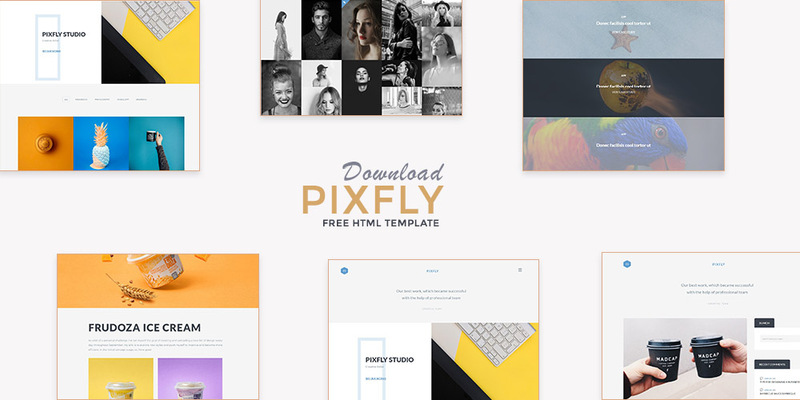 Pixfly is a free creative portfolio template with fully responsive HTML5 & CSS3 valid code built on top of Bootstrap framework. 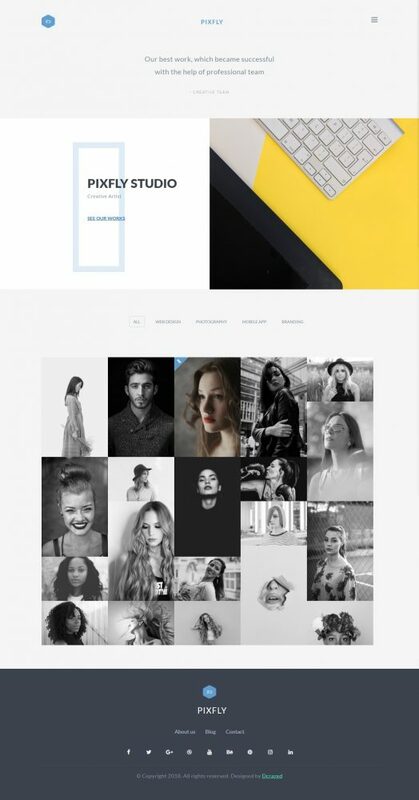 The template is made for designers, creative studios, agencies who like to showcase their projects to the clients with maximum detail and style. Its fully responsive design will give your customers a better chance to visit your website through multiple platforms, smartphones. The theme works perfectly well in modern browsers like IE9+, Chrome, Firefox, Safari etc. The template has 3 Homepage Layouts, 2 Blog Layouts, 2 Header styles, brilliant portfolio template and pages for categories, contact* etc. The theme css file is well commented that lets you change and your custom css without distractions. *For contact page, the php file not included.